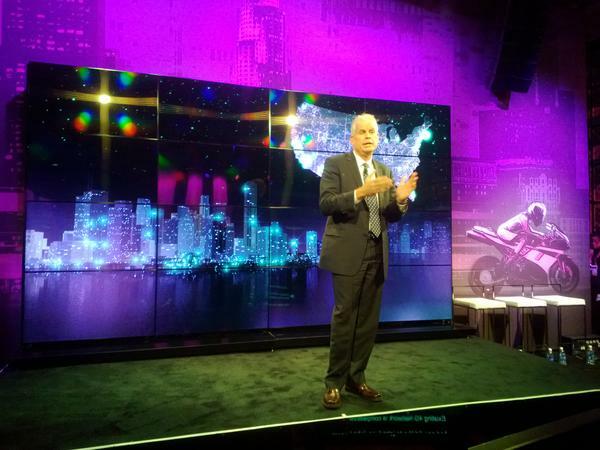 We'll wrap the "press conference" part of the day up with T-Mobile's CES 2013 press event. 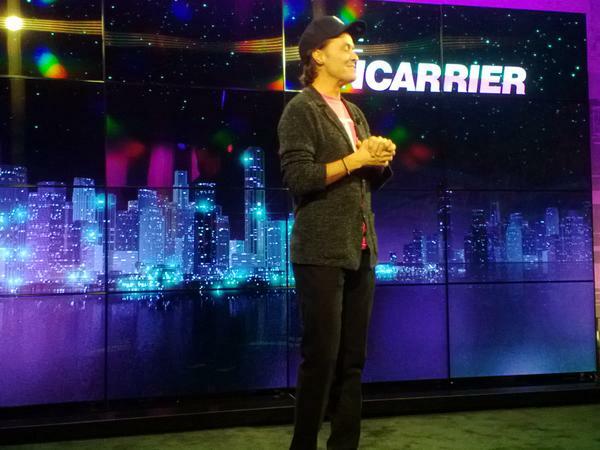 The fourth-largest US carrier promises that this will be an evening of an "amazing 4G experience." Strong words! We'll be honest now - CES 2013 turned out to be a bit light as far mobile device announcements go, so if this truly is going to be an "amazing 4G" evening, we are hoping that the T-Mobile executives on stage will at least take a few phones our of their pockets. And why not? After all, this press event is expected to take about two hours. Two hours! Either they are really having a lot of stuff to unveil, or this is going to be one of the most tedious events at this CES. Whatever it is, though, we're covering it live! Stay tuned to us - the event and our liveblog are going to begin at: 5:30PM PT | 7:30PM CT | 8:30PM ET | 1AM GMT! 20:37 We will mingle and report any developments this is Max signing off keep checking in with PhoneArena.com and #CES2013. 20:36 That wraps things up folks. It was a good event. 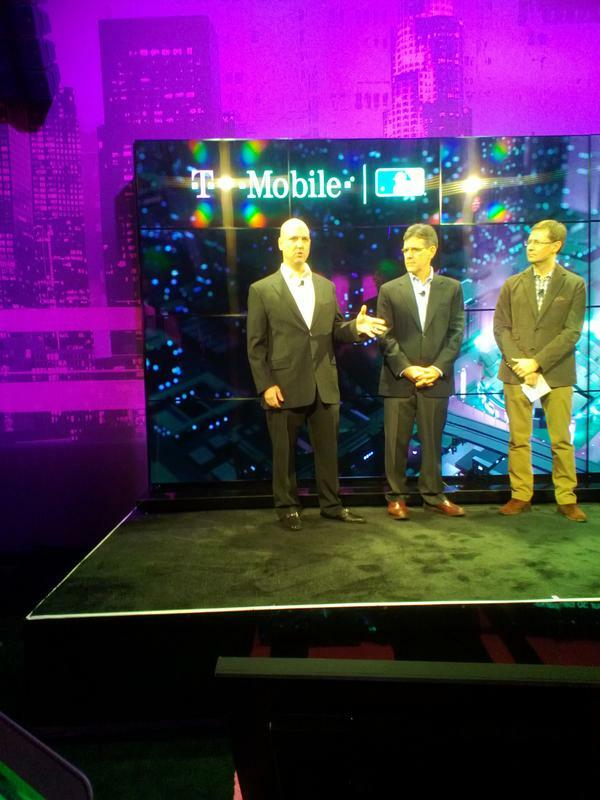 HD Voice was the big announcement along with partnership with MLB. 20:34 Believes that shared data plans are already passé. 20:33 "Really, Verizon has an amazing network." 20:32 Asked about VZW LTE coverage. "Pleased that they covered the dust bowl with LTE." 20:31 Merger with MetroPCS proceeding. 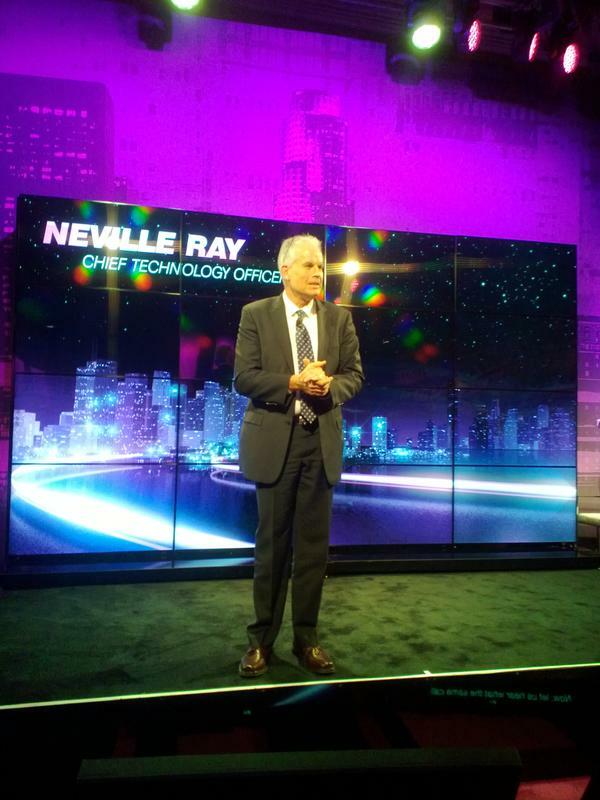 Value strong, Metro doubled LTE subscribers. 20:29 Rollout with LTE Adavance capability baked in. 20:27 Now discussing the LTE rollout. Will not be a trickle. 20:24 It's been an active Q&A. 20:23 Now he's discussing the value plan and how to pay for phones without a subsidy. 20:21 Ledger dropped a hint about negotiating with Apple for "product with fruit on the back"
20:19 Still the same crew on stage. 20:18 Unlimited 4G $70 per month. 20:17 Now asked about strengthening presence to accommodate Mexico, south America. 20:15 This is all rooted in the no contract environment that T-Mobile has started. 20:15 Ledger is hitting AT&T hard. 20:13 Increase in marketing in the works. 20:11 5-10% growth over the next 5 years. 20:10 "AT&T's network is crap." - Ledger. 20:09 Q&A time now. Asked about growing subscribers again. 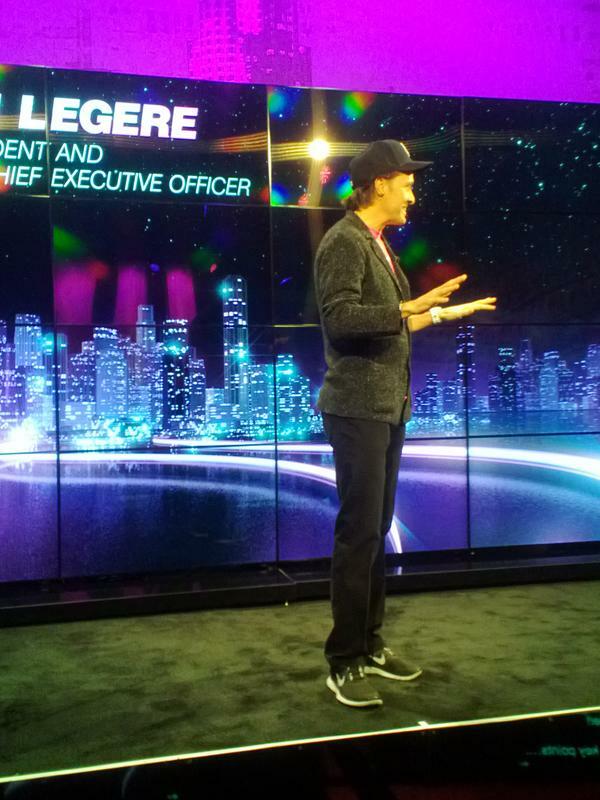 20:08 The CEO of the uncarrier. 20:07 "We think someone should be able to upgrade their phone any time they want." 20:07 Going to change the experience, despite no contract and retail phone prices. 20:06 Good he's getting the message out because he just called his shirt silly. 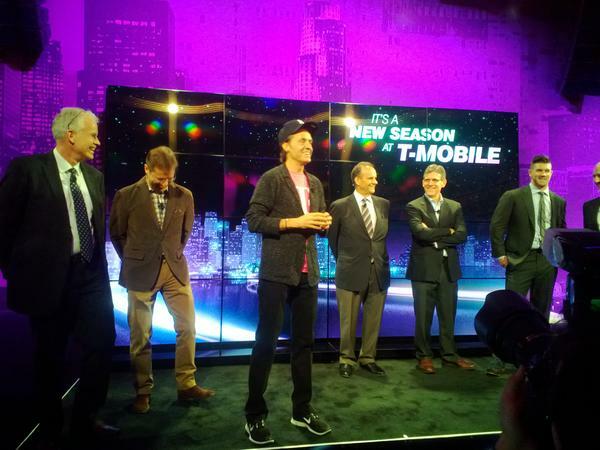 20:05 T-Mobile is the "Uncarrier." 20:04 Ledger's mission to get the message out. 20:03 John Ledger is up next, CEO. 20:02 Merger with MetroPCS is close to completion. 20:01 Using twice the spectrum of Sprint, matching spectrum of AT&T and VZW. 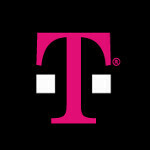 20:00 T-Mobile value attracts users. 20:00 1.9 iPhones on T-Mobile. "Not selling iPhone 'yet'"
19:59 Network enhancements continue, HSPA+ at 1900MHz. 19:58 Now we're getting a sample of the differences of the HD voice benefit. If accurate, big difference. 19:57 Samsung Galaxy S III, HTC One series are compatible devices. 19:56 Sampling to reduce noise. Service is live right now. 19:55 New service announcement: HD voice. First carrier in the US. 19:53 Now reiteration of unlimited 4G with no contract. 19:53 MLB portion is done. 19:52 There will also be an electronic fence to the MLB commo will only work inside the stadiums. 19:51 The technology will use T-Mobile pico-cell technology. 19:50 Calling up the other bullpens or delivering pizza to the other teams. 19:50 Joe is telling stories about communication problems in the past. 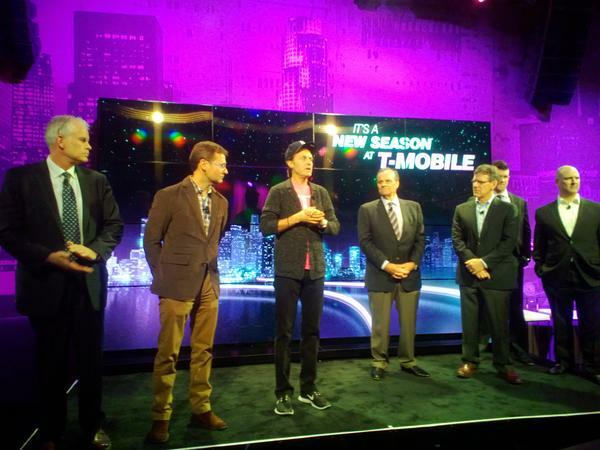 19:48 T-Mobile's partnership will help MLB with communications from dugout to bullpen. 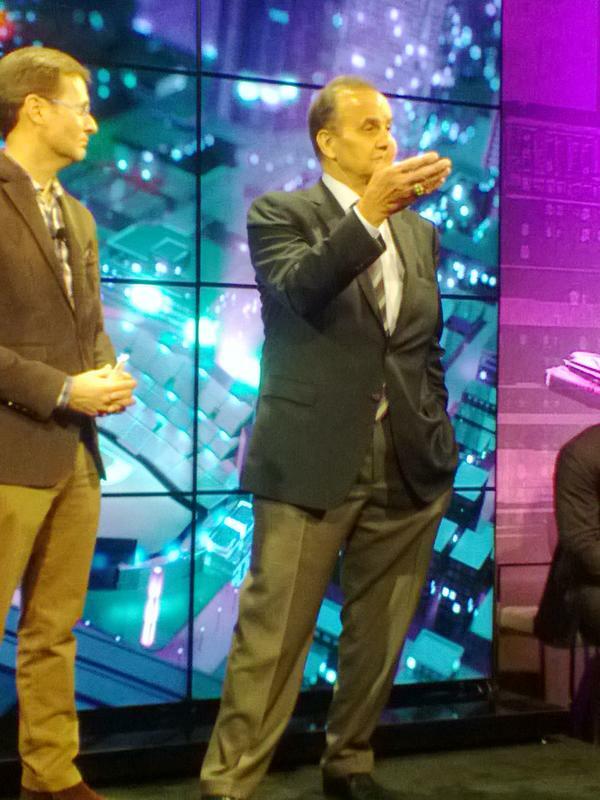 19:47 That's Joe Torre on the right. 19:45 MLB fans are dialed in with technology. 19:43 "This is an 'all-in' deal"
Cool stuff. I hope that LTE roll out happens quickly. That 1900mhz reframing too. T-mobile has so much potential right now. I love that their LTE will be LTE Advanced capable. That gives them the opportunity to be the carrier with the fastest speeds available. I mean, HSPA+ 42 is already very fast, imagine LTE Advanced. But you're right, it needs to be done quickly. What's the use of being the fastest carrier if you have bad coverage? I really would be fine with anything above 7-10mbps but what I'm looking for is consistency. T-mobile hasn't really provided that in the past but I'm hoping with this huge network update/expansion/reframing they'll fix whatever problems have existed. I constantly get between 10-13 mbps down in my area, with peaks of 15 or 16 at times. I've never had a consistency problem, it's just that whenever I go inside my signal drops because HSPA+ uses high frequencies that can't penetrate buildings as well as the lower frequency LTE is usually at. I figured as much. However I don't get signal in my apartment with Verizon anyway so I guess it can't be any worse. 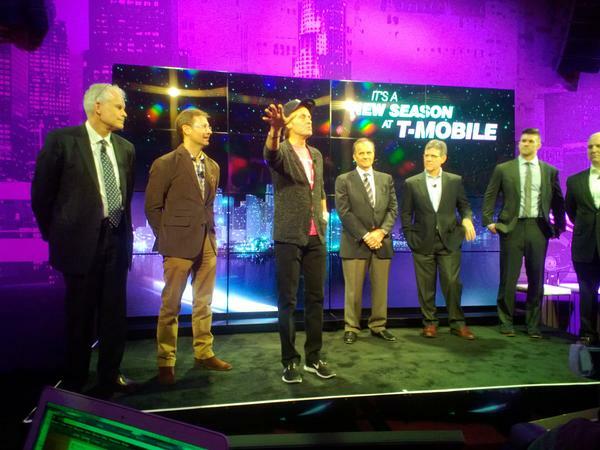 Definitely looking forward to T-mobile rolling out their LTE with LTE Advanced baked in. Great things to come. A great day in T-Mobile land...This is going to be a great summer....Haters can't erase anything happening in t-mobile land..